The project is a renovation of approximately 7,800 gross square feet of space in the emergency department on Level Bl of University Hospital formerly occupied by the pediatric emergency services area, now located at C.S. 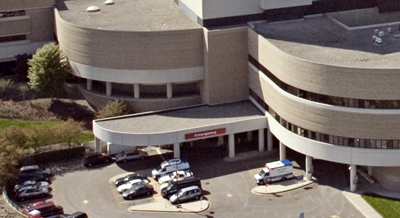 Mott Children’s and Von Voigtlander Women’s Hospitals. The project will create the new Emergency Department Adult Critical Care Center consisting of 5 resuscitation rooms, nine critical care rooms and associated support spaces. The new Adult Critical Care Center enables stabilization and early initiation of intensive care unit (ICU) protocol-driven care for select populations in the emergency department. This effort is expected to reduce the length of stays in select ICU beds within University Hospital creating increased capacity.